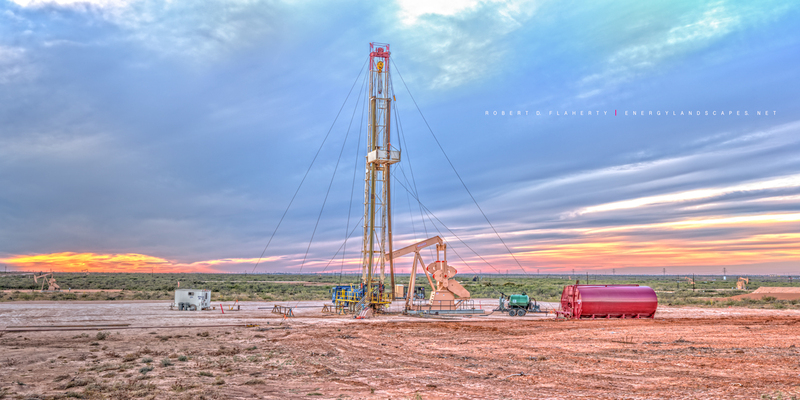 At Days End features a Key Energy well servicing location and Lufkin pump jack on a Chevron lease in Southern Midland County Texas. The image is a high resolution 2:1 panorama available in fine art sizes up to 40x80". Fine Art Oil & Gas Photography By Robert D. flaherty. Photo © copyright by Robert D. Flaherty.